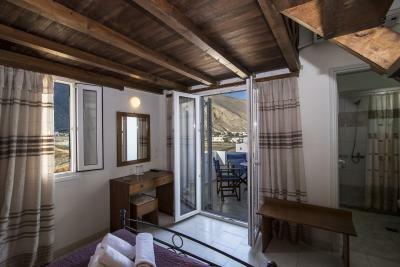 Lock in a great price for Petra Nera – rated 8.3 by recent guests! Good Breakfast and the pool was beautiful and clean. The breakfast was nice, the towels - soft and nice-smelling, the pool, the parking space were nice too. The pool was nice. There is a pool side bar with some food items. The balcony. (Overlooking the parking lot and street) The bakery across the street!! The owners of the hotel are very kind. There is a good supermarket in the other side of the street. 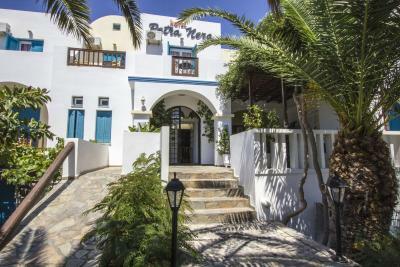 We just loved our stay at Petra Nera! 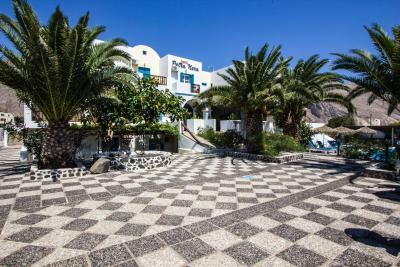 The location was great - away from the crowds of Fira and Oia but easy to get all around the island via the bus stop, right next to the hotel. The 24-hour bakery across the street was awesome... we couldn’t help but go back every night! Our room was clean and the staff was so friendly and helpful, ready to go the extra mile whenever we asked for anything. We liked the breakfast options as well. Great value! We had a spacious room close to the pool. The bathroom is very modern and the shower very big. The owner is very helpful and welcoming. Breakfast was really nice. 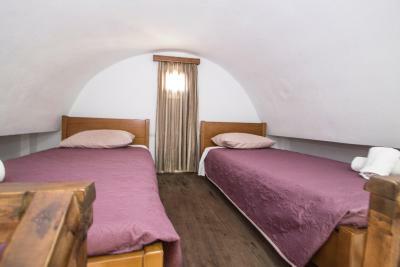 The whole property is very clean and has everything you could want. The pool is a nice size and there are plenty of sunbeds to enjoy. The beach is 10 minutes walking and there are plenty of restaurant around. Fira is about 30 minutes driving and Oia another 15. The staff was really friendly and I enjoyed the fact that it was a family business, it gave a homey feeling. My stay was very pleasant. Breakfast was also very good. Thank you for everything. Great staff, always available to guests! 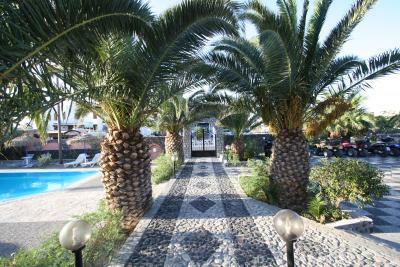 This hotel has a nice pool, lots of parking, a short drive or walk to Perissa beach and they recommended a great ATV Rental, Mark's Bikes. Right across the street from the grocery store (go to the back of the store and fill a big water bottle of homemade wine for cheap!) 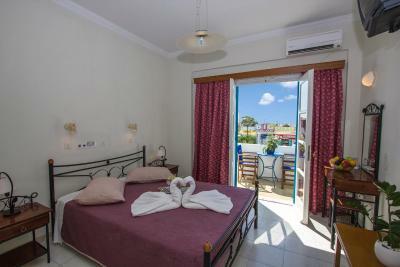 I highly recommend staying in Perissa Beach area while in Santorini. Lots of great restaurants too! Good breakfast included and the pool area had plenty of sun and shade. Free transfers from and to the Port. The owner gave us two Hotel Souvenir caps. There is a 24 hour Bakery , an ATM and a Supermarket, directly opposite the Hotel. The beach is a 10 minute walk and there is a bus stop about 20m from the Hotel. Hotel was great. Room was a good size and the pool was beautiful. Short walk to the beach and bus stop is basically right in front of the hotel. There is also a 24hour bakery right across the street. Staff were very helpful and even offered to take me to different sites themselves. 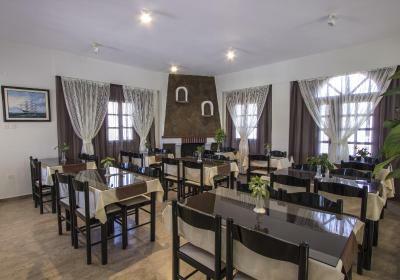 Petra Nera This rating is a reflection of how the property compares to the industry standard when it comes to price, facilities and services available. It's based on a self-evaluation by the property. Use this rating to help choose your stay! 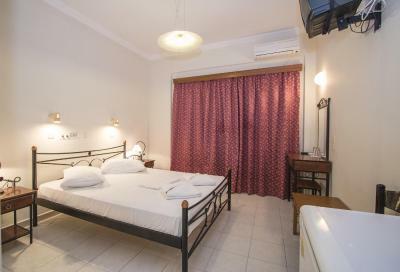 This family-run hotel offers friendly and hospitable accommodations in Perissa. 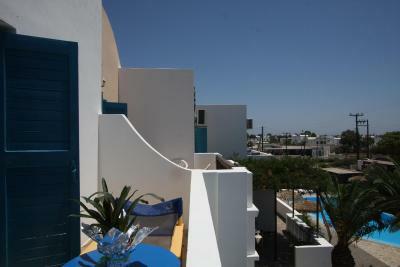 Ideally located only 50 feet from the bus stop, Petra Nera is just 1,300 feet away from the beach of Perissa. 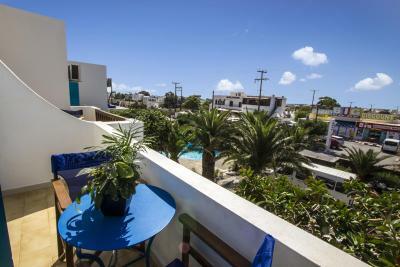 Petra Nera offers 18 rooms with private balcony overlooking the hotel’s swimming pool. 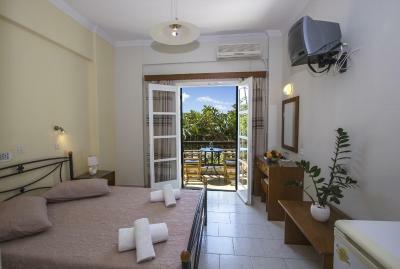 Each room is equipped with free wireless internet. Guests can start their day with a rich continental breakfast served at the breakfast room. 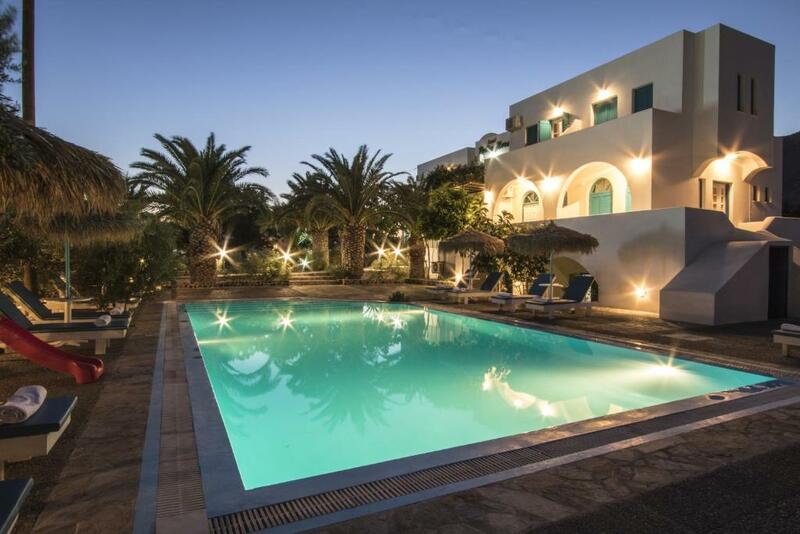 Later in the day, guests can go to the nearby Perissa beach or relax by the poolside and enjoy light snacks and beverages served by the pool bar. 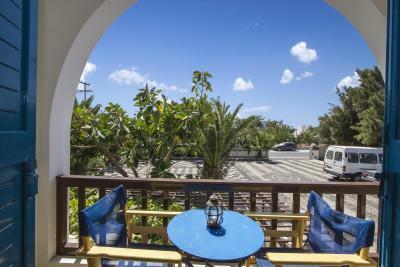 Perissa is conveniently located 6.2 mi from Fira and 9.3 mi from the port. Petra Nera enjoys good transport links and offers free parking. Car and motorbike rental services are also available. 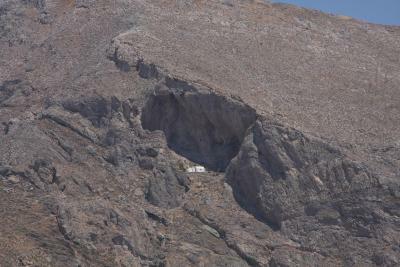 When would you like to stay at Petra Nera? 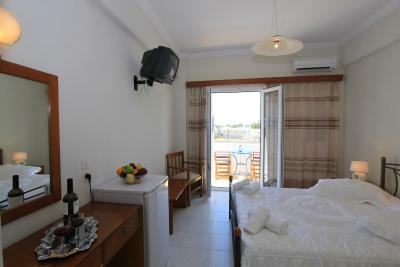 Offering free Wi-Fi, this air-conditioned room includes a fridge and TV with cable and satellite channels. House Rules Petra Nera takes special requests – add in the next step! 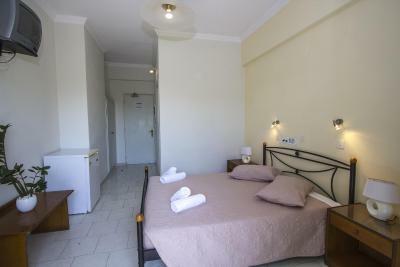 All children from 6 to 12 year are charged 50 % of the room stay per night per person for extra beds. Petra Nera accepts these cards and reserves the right to temporarily hold an amount prior to arrival. Kindly note that transfer to/from airport or port can be provided on request and at extra charge. Guests wishing to use this service are kindly requested to inform the property at least 1 day before arrival. Please inform Petra Nera of your expected arrival time in advance. You can use the Special Requests box when booking, or contact the property directly using the contact details in your confirmation. 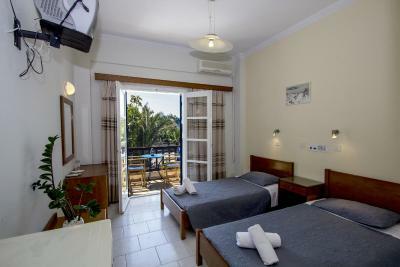 Room was ok, clean, close to the beach, the breakfast needs some improvements and diversification. For a longer holiday, it's boring to eat all most every day same food. Lovely family hotel.It was a nice stay! The room was lovely and the pool was fab! 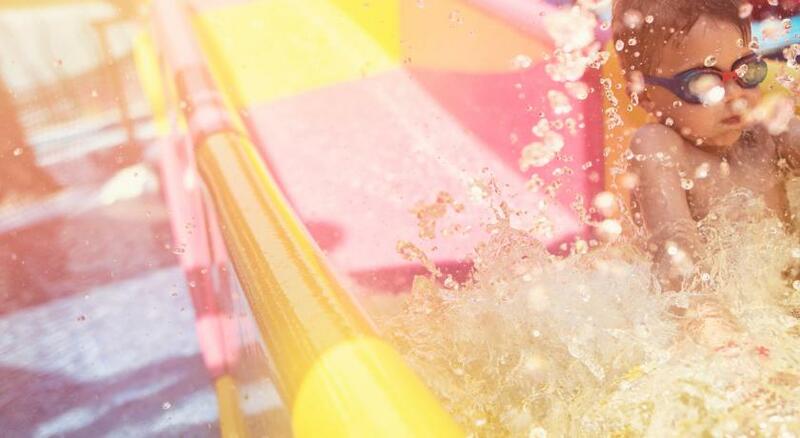 It would be great if there is a play station facilities for children! Foods and drinks are superb! Service is unbelievably wonderful! The noise from the road but nothing can be done about that. 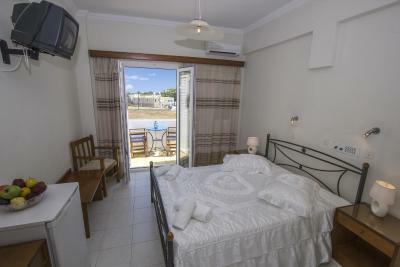 Amazing new bungalow rooms since I was here last ....... these are just fantastic. 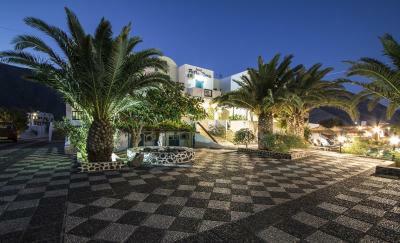 Quiet even although the hotel is full and Giannis is just amazing. Place was perfect. Kids loved the pool and location was perfect. Absolutely spotless, clean bed clothes and towels everyday. Room was immaculate. Staff so friendly. Definitely will stay here again for our next trip to the amazing Santorini. Located across the road from the bakery and supermarket. Lots of restaurants close by, the beach is around a 10 minute walk. Nice pool and plenty of parking. Friendly staff. The beds are not as comfortable as I expected, but they're ok for a couple of nights. The staff is always very friendly and kind. The location of the hotel is great! It's close to the black beach. It has a nice swimming pool and the breakfast is nice. The shower was not good. I wouldn’t have anything to say . I loved the people who run the property. Allowed me early checkin. Gave me a small room to rest till my actual check In happened. I reached at 7 in the morning. That was super sweet of the owner. The property was clean and had a small little pool which was clean too. The hosts helped me rent a car also. Which was again stress free. Location isn’t in the main crowded town but a little away from that. 40 Mins drive and i didn’t mind that as I had a car and I wanted to be away from the crowd. The property has a supermarket right opposite and a 24h open family run bakery. There are plenty of restaurants around. I recommend Filippos Italian Pizza. There’s a beach too which is 15 Mins walk from the property and don’t forget to visit the Akrotiri Light House and pre historic city. The sunset is better there than the crowded Oia.